For a truly safe, sporty midsize sedan, the 2018 Volkswagen Passat is always a great choice. Thanks to German engineering made affordable by the talented people at Volkswagen, the 2018 VW Passat gives you more value for your money than the similarly priced 2018 KIA Optima. The Optima can’t match the complete list of safety features you can have on the Passat, nor can it give you the roomy, comfortable interior your family needs to enjoy every last mile. But the Volkswagen can. See it for yourself at our dealer location in Ballard! Schedule a test drive today — we’re located just 12 miles west of Bellevue, where our showroom has a huge selection of 2018 Volkswagen Passat models for you to choose from. At the entry level, both vehicles come with similar 4-cylinder engines which deliver comparable horsepower and excellent (and again very similar) fuel economy. You can upgrade to a powerful turbocharged 2.0L version which achieves 245 horsepower in the 2018 KIA Optima — but it’s no match for the available 3.6L V6 powerhouse inside the 2018 VW Passat. That engine will put up to 280 horsepower at your disposal. 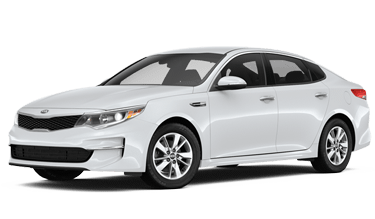 When equipped with KIA Drive Wise, the 2018 Optima comes with a variety of important active safety features — but not as many as you can have on the 2018 Volkswagen Passat. The 2018 VW Passat can even be equipped with Park Assist and Park Pilot. This advanced feature can scan any potential parking spot to see if your vehicle will fit, and even steer the vehicle in place. It works with both perpendicular and parallel parking. All you have to do is shift into reverse and apply the accelerator and brake as you would normally. The 2018 VW Passat is smart enough to take care of the rest.